Today, we're going to look at some of the AI trends that are set to turn the business world upside-down and introduce newer, better, faster, smarter processes into all of our daily frameworks. When we talk ai and the future of work, it's important to remember that the rise of AI encompasses a wide variety of channels. Tech is undoubtedly going to feel a more immediate impact. But, AI is uniquely useful in every industry, which means that some of these impacts may be felt in specific scenarios. Each business is a different living, breathing creature, and each will position AI in their own way. While some business changes will arise from AI's functionality, others will come about as a result of AI restructuring. One of the most significant challenges in the modern business world is data. We all know that data is the "modern oil" but with so many as-a-service apps in our tech stack, finding a way to use that data across all tech streams is excruciatingly difficult. While ECM solutions exist that attempt to tackle the modern data monsoon, the problem isn't that we don't have enough data coming out of our systems. We have way too much data and way too many platforms to properly sync all of it. But, AI needs data to perform its job adequately. In fact, data is the fuel of all AI applications, so all of those data silos are a significant barrier that AI needs to hop over to streamline adoption. Ambitious projects like Pure Storage's data hub architecture aim to rectify this by turning data silos into data lakes. And, they aren't the only company working on the issue. Medical startups are looking to break down data walls to provide better, more active data access. In the future, we expect data silos to transform into data lakes. Of course, silos will still exist in some environments (e.g., sensitive data, etc.) But, AI eats data, and freeing all of that delicious data up for AI consumption will simultaneously disrupt the existing tech stack frameworks. Of course, the first (and most obvious) ramification of AI and the future of work is job impact. To be clear, AI isn't going to destroy the workforce and put us all out-of-jobs. But, it will redefine work roles, make specific roles obsolete, and create new jobs that could only exist in an AI-driven ecosystem. AI is a mildly controversial subject. Tech leaders like Elon Musk warns of the dangers of AI, while other tech leaders like Bezos seen keen on adoption. But, the one thing that all of these tech leaders share in common is their understanding that AI is not going to strip us all of our jobs. McKinsey recently released a forecast that highlighted a potential 15% job loss from AI by the year 2030. But, the same forecast showed a rise in demand for new jobs (AI created jobs) by up to 33% — more than offsetting the potential job loss. The truth is, Ai in the workplace will redefine roles. But, that's not the first time that roles have been redefined. SaaS, cloud, machine learning, and other progressive tech offerings haven't destroyed jobs, they've created new ones. The future of AI is incredibly strong, and any looming fears of job droughts should be looked at from an angle of opportunity, not fear. While de-siloing data may be a result of companies paving the way for AI and job loss and creation may stem from AI adoption, AI chatbots are a direct workplace opportunity that we already see in that AI space. Tools like Jane — the AI virtual assistant — help remove the barriers that confine information. All of those data silos, apps, documents, and employee intelligence that sits in fractured environments can be accumulated and understood by AI in profound ways. Business is often behind the consumer space. When you have a problem outside of the workplace, you often simply ask Siri/Cortana/Bixby/Alexa. But, when you want to access work-related information, you have to spend time searching through archives and cloud servers. This problem is massive in the business world. In fact, the average employee spends 4.5 hours searching for documents every day. That's half of the entire workday that's wasted on non-constructive processes. But, what if you could just ask a chatbot for the answer? What if AI could merely eat all of your workplace data and spit out results in seconds? All of the time that you've just freed up could be used in other critical areas of business. That's the power of AI — and the power of Jane. As AI starts to diminish mundanity, the way that we all view skills in the workplace will change. Today, skills related to on-the-job capabilities are a dominant component of the hiring process. But, AI disrupts this practice. Since workers don't have to rely on repetition and hyper-focus to perform their duties, the ways that we think about "worker efficiency" are bound to adapt to the times. 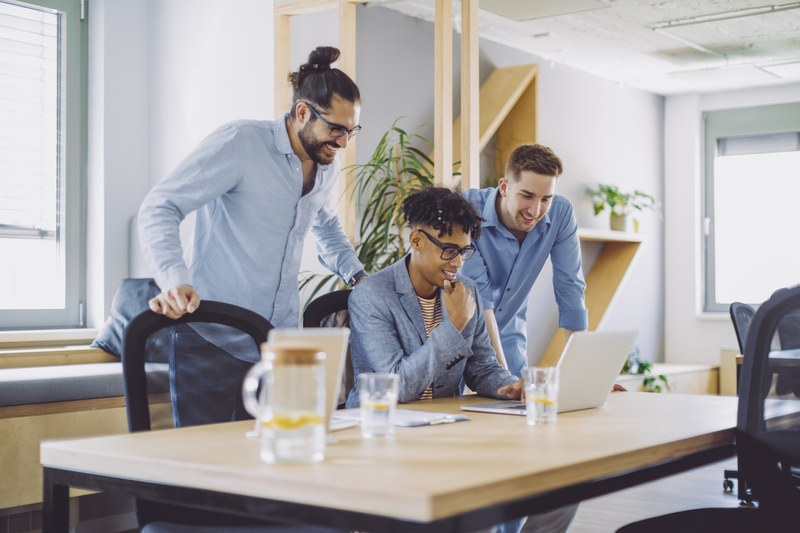 Instead of wondering whether or not an employee can spend their day sifting through documents and performing simple tasks, business will start to question employees personability, charisma, and communication skills. There are plenty of tasks that AI simply cannot handle. It's up to the business space to leverage these roles and reconfigure the values promoted in the workspace. AI and the future of work are hinged to disruptive hiring practices. Of course, repetition falling won't only emphasize soft skills; it will also help bake specialty skills into the business framework. Since AI can handle most of the day-to-day repetition, workers will need to leverage their unique skill sets to stand out. This means hiring people who are specifically good at tech or people who have the exceptional skills necessary to market products or services efficiently in the digital world. This unique combination of soft skills and specialization will guide the business space forward. Enterprises will place value on individuality, rather than conformity. AI is set to radically shift the way that we work. But, it's important to remember that Ai in the workplace isn't going to destroy us all in some Terminator(esk) fantasy. Instead, it will help us become more human by removing unnecessary barriers that have been erected across workplace channels. 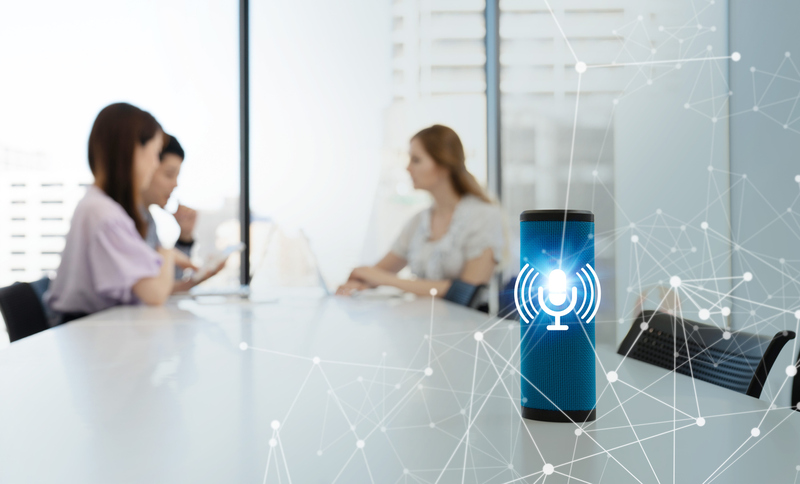 In the immediate, workplace AI chatbots like Jane can help businesses achieve more value from each employee by reducing the amount of searching they require to perform their day-to-day roles. For more information on Jane or to schedule a demo, click here.